Taking a dip in the pool, ocean, or lake can be a great way to beat the summer heat, but spending time in bodies of water can also put kids at risk of drowning -- and not just while they’re in the water. Dry drowning and secondary drowning can occur hours after a person is on dry land. Although they occur less frequently than accidental drowning, these types of drowning are just as fatal, experts say. So how do dry and secondary drownings happen, and how can parents prevent a water-related tragedy from occurring? 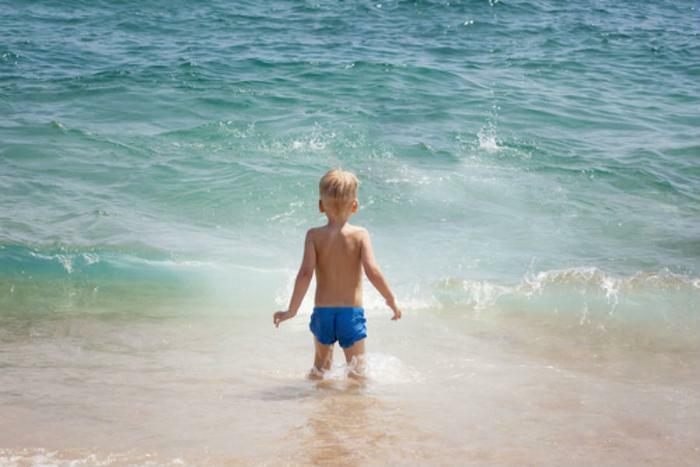 Although the terms dry and secondary drowning are sometimes used interchangeably, they’re actually slightly different, said Dr. Jessica Lanerie, associate professor at the Texas A&M College of Medicine. Both dry and secondary drowning occur when water is accidentally inhaled. This can happen to a child when a wave suddenly washes over them, or when they’re dunked under the water’s surface unexpectedly. But dry drowning typically happens minutes after submersion, when water reaches the vocal cords and causes them to spasm. “Secondary drowning is what we have been seeing a lot more in the news, and that happens within 24 hours after leaving the water," Lanerie said. With secondary drowning, the inhaled water can cause inflammation in the lungs, blocking the lower airways and causing difficulty breathing. If symptoms of secondary drowning are present, a doctor will likely perform a chest x-ray to look for pockets of water in the lungs. If water is spotted in the lungs, your child may require a brief hospitalization for observation until he or she recovers. It only takes a few seconds for children to drown. For this reason, Lanerie says it's crucial that parents or designated adults keep an eye on children at all times. She recommends teaching children how to swim or enrolling them in swimming lessons. Additionally, consider using personal flotation devices that are U.S. Coast Guard approved for kids. Families with backyard pools should make sure their fence or self-latching gate is in working order, and always make sure the pool has compliant drain covers to prevent children from becoming trapped below water by the suction.